A 40 minute drive down to the Gower (Join M4 at J45 and come off at J47 and take the scenic route, then come back via Swansea). 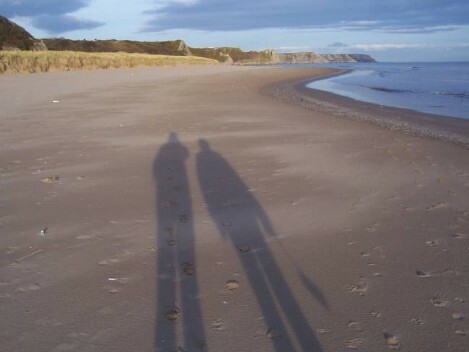 The drive will be rewarded by the most pleasant sandy beach with no one on it. 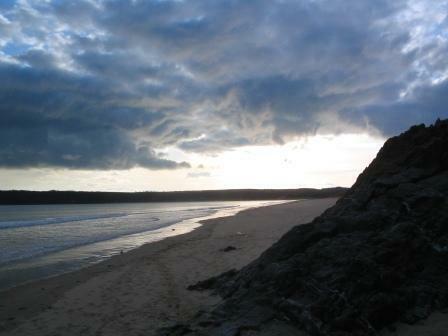 Oxwich Bay is deserted mostly, except within a few hundred yards of the Oxwich Bay Hotel. The Hotel is worth my owners popping in for a tea - dogs are allowed outside in the picnic garden area so we can keep our owners company. 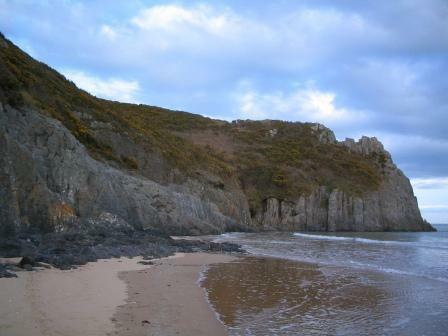 The beach walk will take us 40 minutes in each direction if we walk as far as the rocks dividing Oxwich Bay from Three Cliffs Bay. 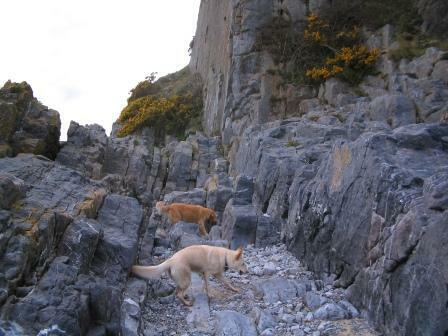 At low tide if get an early start we can take a picnic and continue round the rocks to the next bay, Three Cliffs. 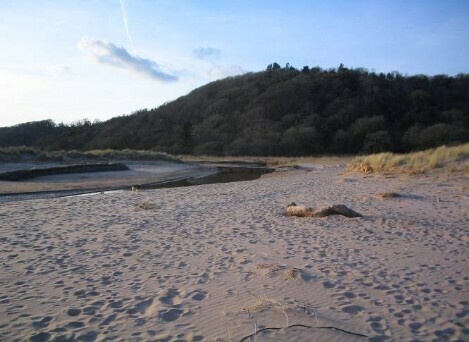 There is a stream drain-off across the beach half way along, with a footbridge over the stream a little bit inland. 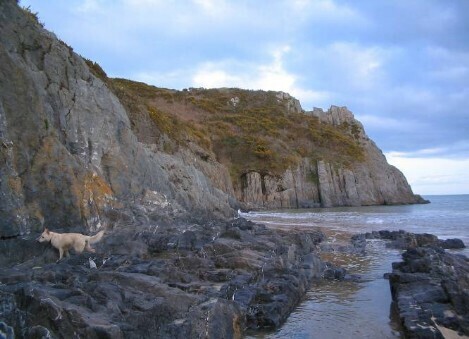 We can walk along the beach to the bridge, and as far as the rocks at the end of the bay if we like, then return taking the sand-dune paths from the footbridge, back to the Oxwich Hotel. 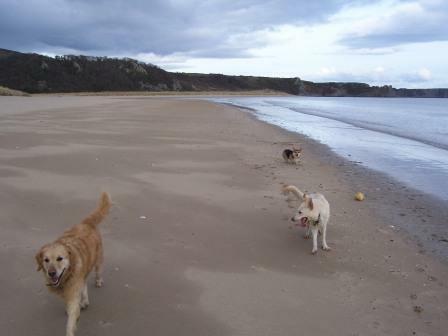 There's endless opportunity to chase seagulls but we'll never catch them - they always fly off as we run close. 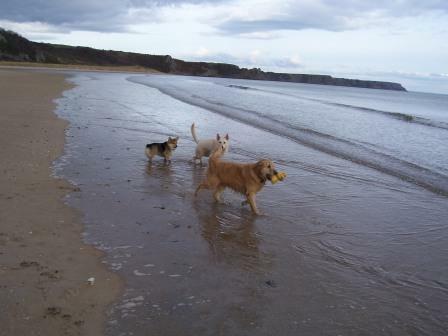 We'll plunge and dive into the sea after them, great fun.